Euro zone consumer inflation came in lower than expected in December, adding to concerns that the euro zone could be heading towards a period of deflation. Consumer prices rose by 0.8 percent year-on-year in December, below the 0.9 percent expected by economists. It comes after inflation increased by 0.9 percent in November. Day by day it is becoming more and more clear that the euro zone is heading for deflation and despite of this the ECB so far has failed to act and it is blatantly obvious that the ECB is in breach of its own mandate to secure “price stability” defined as 2% inflation. The failure to act is also a clear demonstration that the ECB in fact has an asymmetrical monetary policy rule (what I have called the Weidmann rule). 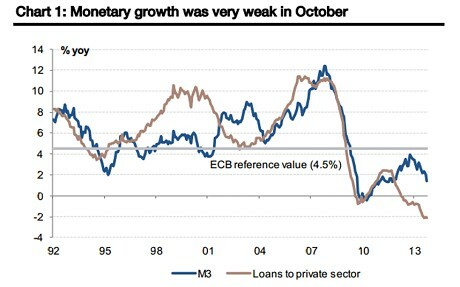 The ECB will tighten monetary policy when inflation increases, but will not ease when inflation drops. It has been said that the recent decline in European inflation to a large extent is due to a positive supply shock. This is to some extent correct and it is something I have acknowledged on a number of occassions. However, the main deflationary problem comes from the demand side of the European economy and the fact that monetary policy remains extremely tight in the euro zone is the main cause of the deflationary pressures in the European economy. 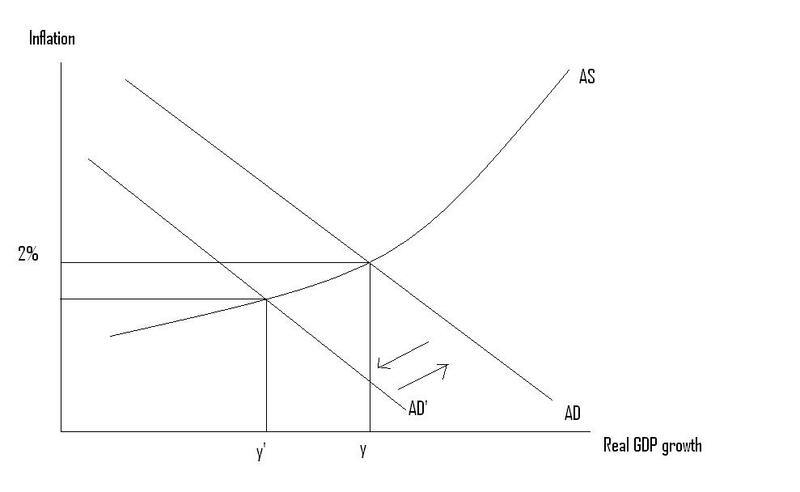 A simple (but incomplete) way to strip out supply side effects from the price level is to look at the GDP deflator. This is what I here have done for Greece. 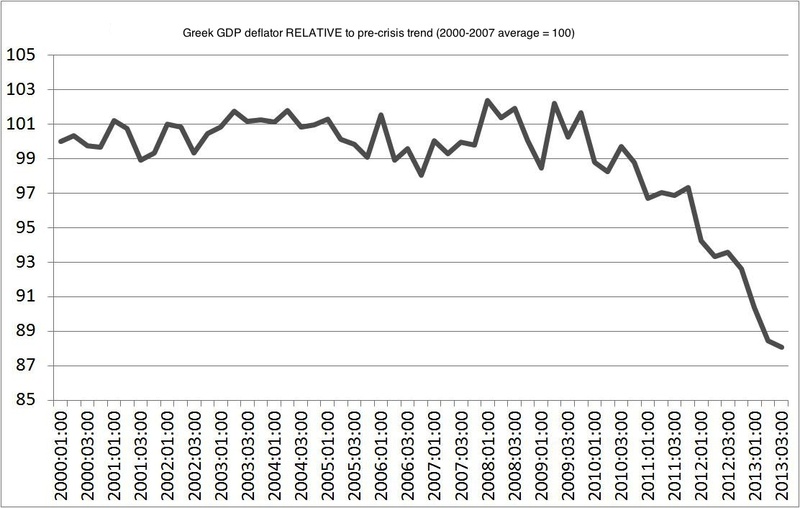 This is the horror graph of the day – it is the level of the Greek GDP deflator relative to the pre-crisis trend (2000-7). I challenge my readers to find ANY example from history where such a collapse in the price level has ended in anything else than tears. PS note that there are no signs of inflationary pressures in the Greek economy escalating prior to the crisis. This is not about imbalances, but about a negative monetary policy shock.